CT Granger: We Miss You! Reporting to the Connecticut Granger is easy! Just write a short description of what's happened during the last month at your Grange and/or a listing of what's coming up on your Grange's calendar in the coming month. 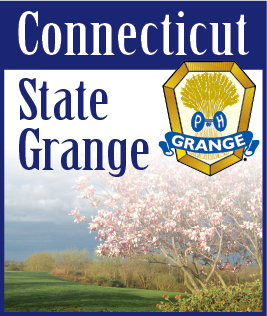 Email your report to: Granger@CTStateGrange.org. Snail mail your report to: CT Granger, P.O. Box 1393, Glastonbury, CT 06033. It's easy, it's fun and WE MISS YOU!